Shrule Equestrian Center, Wexford, Ireland, 11:00am. The sun is peeking through ever-present clouds as we pull into a parking lot flanked by high sand dunes. The “horseboxes” attached to modestly sized cars are already waiting, with two pairs of horses casually napping in the sun. I’m introduced to “Bob the Cob”, as he’s known by the stitching on his red and black saddle pad. A compact Irish Cob, Bob is to be my horse for the day, and his trainer and owner of Shrule Equestrian Center, James Cosgrave, points out a few of Bob’s minor shortcomings (he tosses his head a little, he can get a bit strong) before inviting me to mount up. 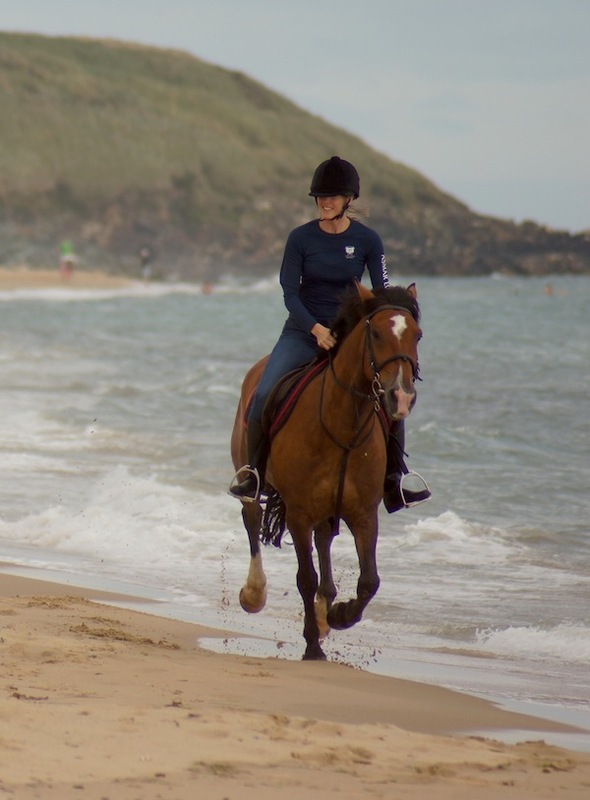 Once in their life, every rider should have a chance to go for a beach ride in Ireland. And up until now, I’d never had a chance to check this particular dream off my own bucket list. I wasn’t expecting to have the chance either; the focus of my short trip to Ireland was official business; attending the Royal Dublin Horse Show, writing articles and networking with horse industry people. And after, a few days off to visit family. 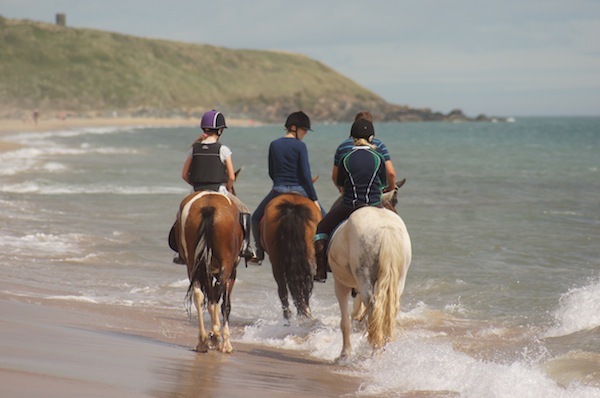 I have a few distant cousins in Ireland, one of whom is an 11-year-old girl who is “mad into horses.” Her summer riding stable is a lovely place right on the coast of the Irish Sea, and much to my delight her parents arranged a ride. Which brings us back to Bob the Cob. With my cousin Carla mounted up on a piebald pony and James and his assistant on slightly larger versions with ample lower leg feathers, we set off towards the sea. 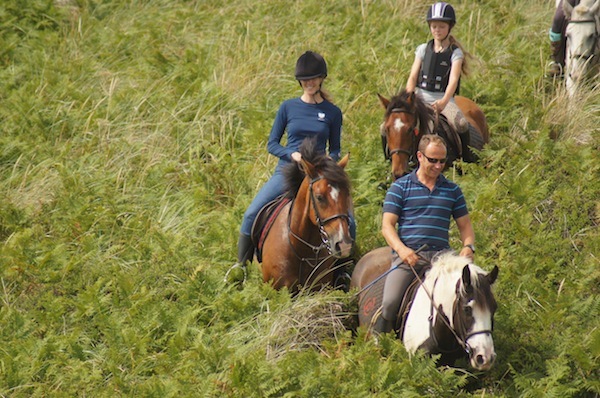 We rode up a trail that would make my horse at home spook and run for hime – a skinny path less than a foot wide with high walls up to the horses’ knees on either side. 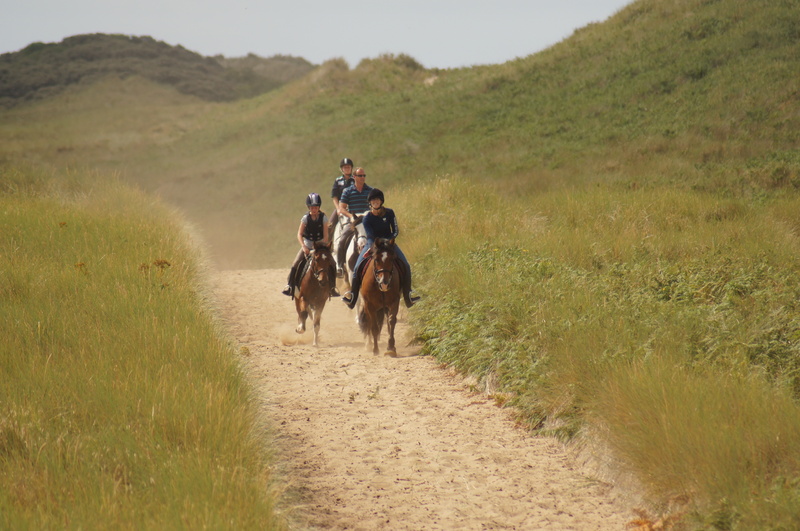 As it snaked its way along the top of the steep dunes, the sea grass that grew tall around us created the illusion that we were swimming through the foliage, and when we picked up the trot its many strands slapped past our knees with a sting. 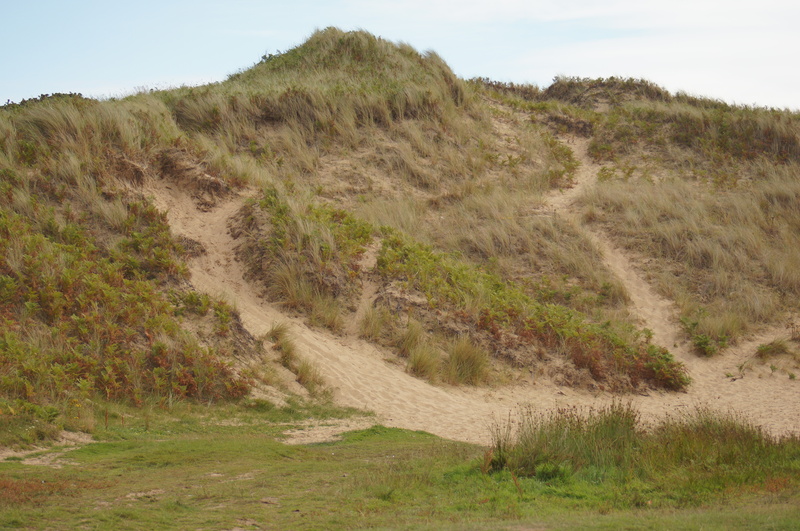 However, Bob didn’t flinch, and as the more experienced of the two of us in this particular terrain, I let him wind and turn his way through the bends in the trail and not worry too much about the head-tossing habit that occasionally threw his balance a little too close to the edge of dune. Not to worry though, heels down and we followed James as the path turned toward the ocean and the massively long Cahore Beach. 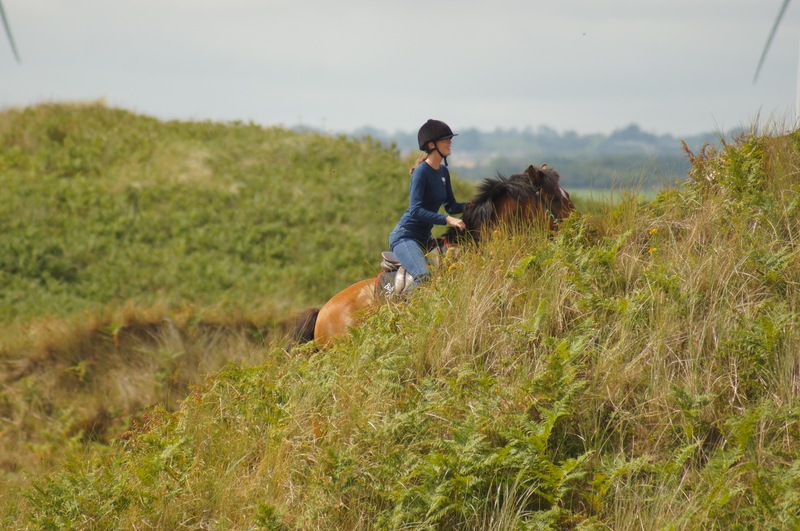 By the look in Carla’s eyes it was clear that a ride like this wasn’t an everyday experience, but nonetheless she hung with us and grabbed mane as we found a sandy track and picked up a hand gallop. They don’t say that Irish riders are tough for nothing. 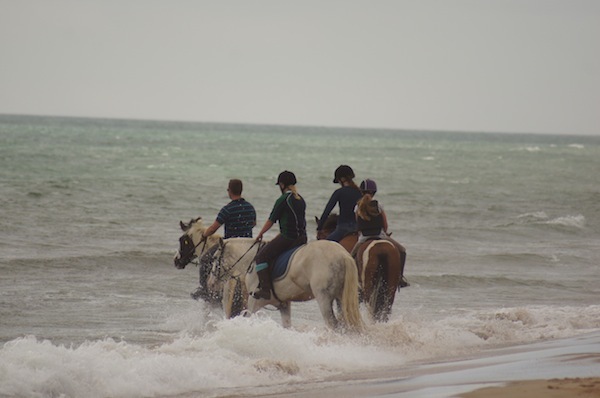 Down by the beach, the horses walked straight into the water and stood, clearly enjoying the feeling of the waves washing past their legs as much as you or I would. They stepped a little higher as we rode through the shallow edge of it, and seemed to appreciate the packed sand when we turned and picked up speed. And then, the gallop. The pictures tell the rest of the story. 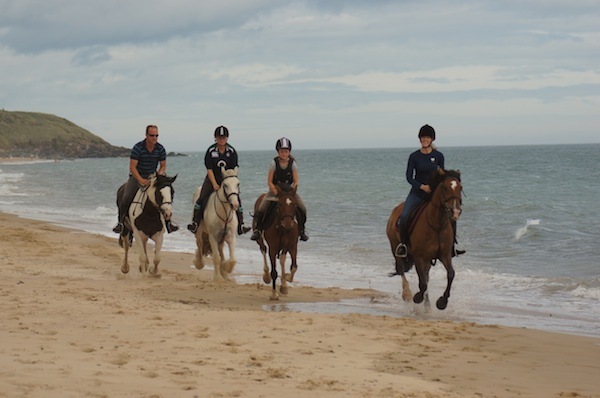 Thank you Shrule Equestrian Centre for an unforgettable afternoon on a beach in Ireland. 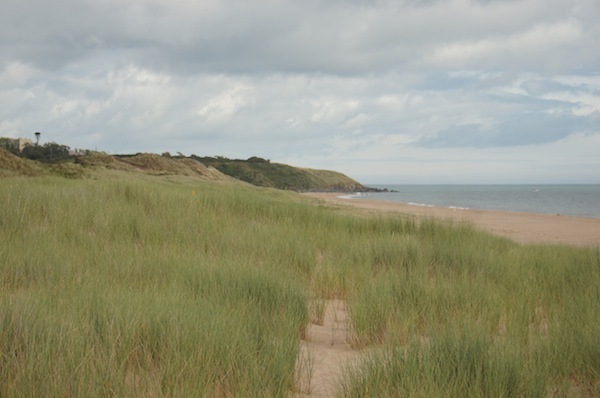 Sandy landscape on the coast of Ireland. Literally climbing the sand dunes. . . But the view was worth it! 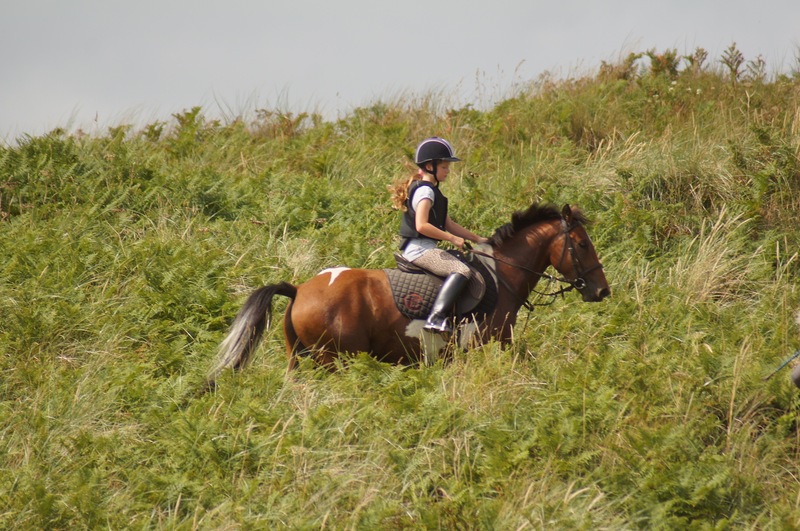 Every 11 year old should grow up riding like this! Could not keep the smile off my face! This track is used in the winter to gallop racehorses that are stabled nearby. And then… a view of the beach! Straight into the ocean, NBD. 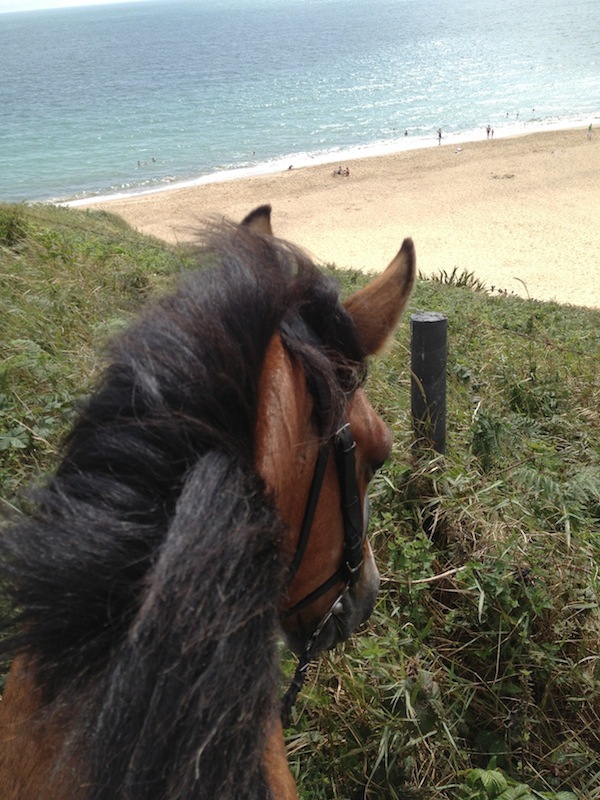 And then, galloping along the beach. Done and done. -By H&S Editor Erin Gilmore. 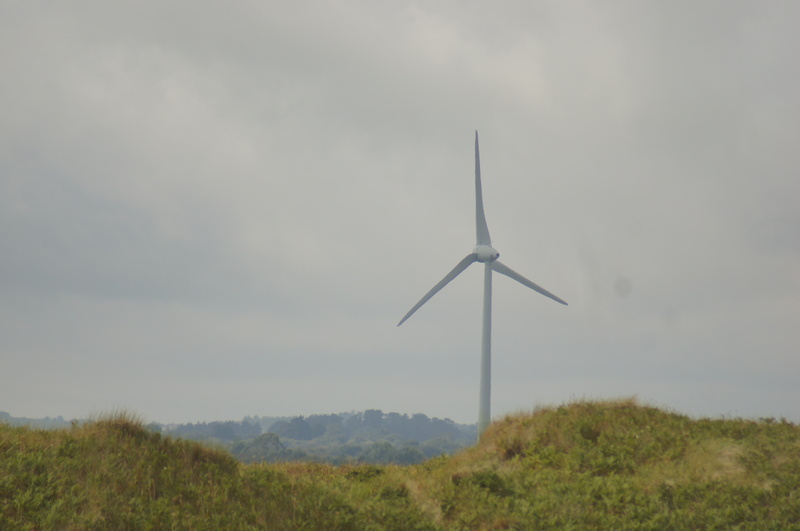 Many thanks to Maria Hudson for strategically placing herself on the nearby dunes to capture these amazing photos.